Accreditation to Uruguay and Paraguay from 2012 to December 2015, Ambassador of India to Cote D’Ivoire (Ivory Coast) and concurrently Ambassador to Guinea and Liberia High Commissioner of India to Sierra Leone from 2005-2007. He has also served as special envoy to South Sudan and Sudan to broker peace between the two countries. He also served as Secretary (Special Assignment) in Ministry of External Affairs, Government of India. 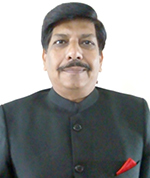 Mr. Amarendra Khatua is the Director and Founder Member of MIICCIA. Mr. Anil Kumar Kapila has earned vast experience during his diplomatic service in the Ministry of External Affairs and in Indian Missions Abroad. In the Ministry, Mr. Kapila has successfully and skillfully handled varied positions in the CPV, Bureau of Security, Gulf, Protocol, Establishment Wings, Addl. P.S. to External Affairs Minister/Minister of State, Regional Passport Officer, Delhi. He has held different positions in Indian Missions abroad in various capacities, i.e., Administration in Embassy of India, Rome, High Commission of India, Bangladesh, Consular( Passports, Visa & Commercial )in Consulate General of India, Dubai Head of Chancery in Embassy of India, Brasilia Counsellor, Visa/Head of Chancery in High Commission of India, London. He Superannuated as Director in 2012 from the Ministry and was appointed Consultant by the Ministry from 2012 to 2015. Mr. Kapila likes to work in a challenging atmosphere that provides ample opportunities to keep learning in new areas for growth and to utilise his skills to the best of ability and explore all the possibilities to achieve excellence. He always believed in the team work and has done so in all the organizations, he is patient in listening to and dealing with others. 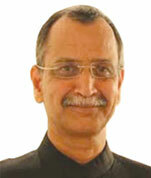 Mr. Anil Kumar Kapila is Director and Founder Member of MIICCIA. Mr. Afroz Ahmed, is the Co-Founder and Director of M/s Superb My Trip Pvt. Ltd.(SMT) and has experience of more than 15 years in the field of global outsourcing service business and overseas recruitment dealing with government of India and foreign diplomatic Missions in India. He is focused in setting up the strategy, business planning and policies of the company since its inception. He is instrumental in developing leadership and is known for his passion for excellence and talent for resourceful business solutions. An entrepreneur at heart, he started the business in the year 2008 and is the driving force behind successfully creating SMT Group Companies - Superb My Trip Pvt. Ltd.(Tours & Travel), Superb Info Tech (IT Solutions), Dubai (Consultancy Services). The SMT group has presence in all the important cities in India and an overseas office in Dubai. He leads the team to win new business, shape market opportunities by building alliances and partnerships and solidify the company's position in the industry. He Possesses excellent skills to establish sustainable and profitable relationships. Mr. Afroz is recognized by one and all in the industry as a professional with a high degree of personal integrity. Mr. Afroz Ahmed is Director and Founder Member of MIICCIA. 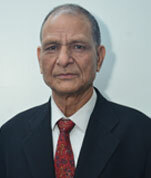 Mr. Gopal Singh has rich experience of 38 years in different departments of PHD Chamber of Commerce and Industry. At PHD Chamber, he handled various roles spanning the organizations including holding Conferences/Events, Export Department, Certifications of Export Documents etc. With his sound knowledge base and previous long experience of working in a Chamber, Signatory of Commercial Documentations, he is an asset to MIICCIA. He brings with him a lot of fresh ideas and bundle of energy to the assignments undertaken by him. 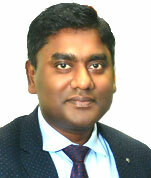 Mr. Gopal Singh is Director and Founder Member of MIICCIA. Copyright © Superb Infotech , 1999 - 2018 Operating Company, All Rights Reserved.